In AccuRanker, Keyword Duplicates always have differing settings. Here is how to identify duplicates and remove them by using filters. 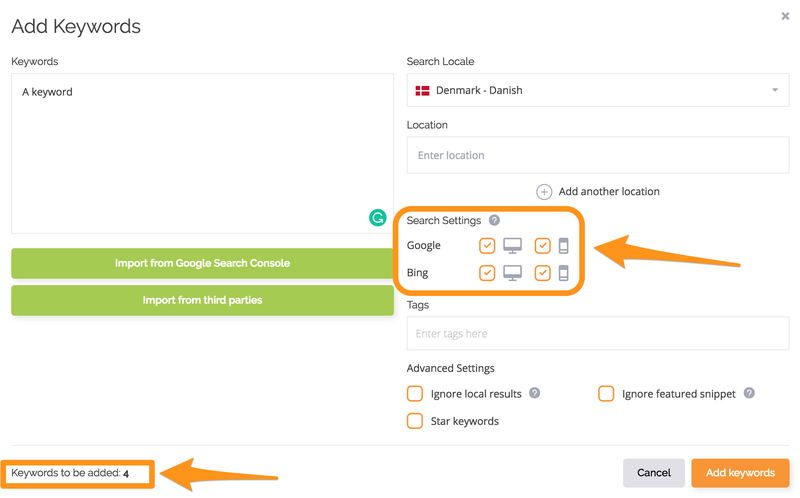 The same keyword can have differing settings and for this reason, appear twice or more, in the keyword list. 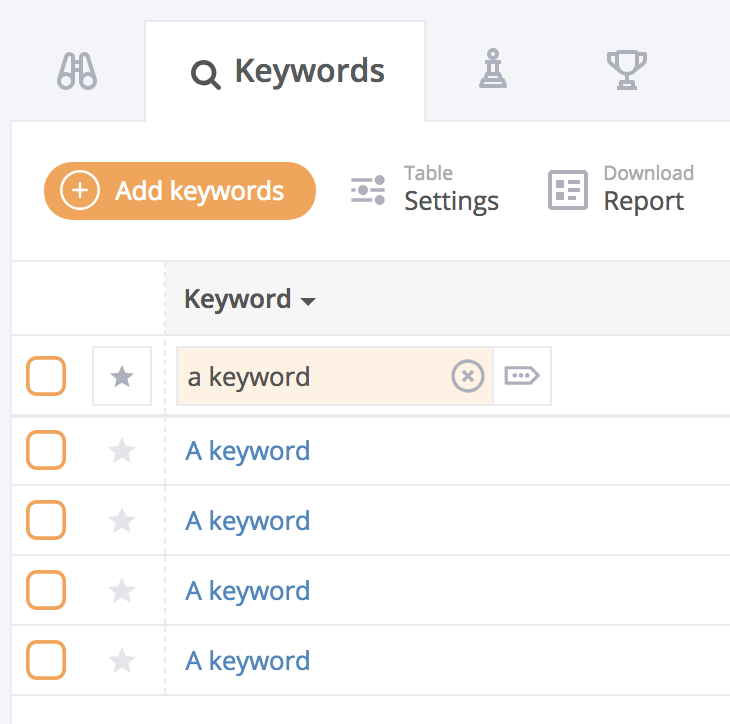 The settings on the keywords forces AccuRanker to check the same keyword separately using different systems. Search type Mobile or Desktop Browsers. The phrase "A Keyword" will be added four times, because it will be checked on both Google and Bing and for both desktop and mobile browsers. Using filtering options in AccuRanker, you can remove duplicates very quickly. For example, delete all Bing keywords using the Search Engine (SE) filter. Click here to read more about the filtering options in AccuRanker.